There’s a saying in Haiti that goes, “Yon jou la jou,” which translates to, “One day will be the day.” We learned this saying on one of our mission trips to Haiti from 2011-2015. It stuck with us as a beautiful message of hope, a brighter future, and a longing for something better. This hope was one of the many reasons we fell in love with Haiti and the incredible Haitian people. It was clear from the beginning that God had called us to Haiti for a reason, and now that reason is becoming clear. Jen’s parents adopted two children from Russia when she was 13 years old. 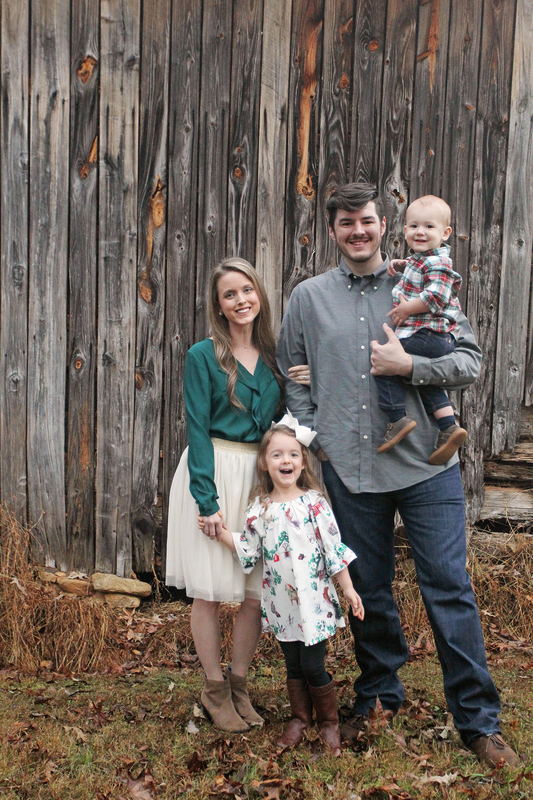 Seeing the impact that it had on her family fueled a passion for adoption at a young age. That passion became contagious for Dan in the early years of our marriage, and we hoped to eventually adopt a child into our family one day. God’s plan for us became more clear in 2011, when we took our first mission trip to Haiti. It broke our hearts and filled our souls all at once. Seeing the extreme poverty and the still-obvious effects of the 2010 earthquake were overwhelming, but there was something about the joy, perseverance, and hope of the Haitian people that transcended the devastation. God had placed us there to do His work and care for His people, but we knew it didn’t end there. After several more trips to Haiti and ongoing involvement with an organization called Haitian Christian Mission, we felt strongly that God was calling us to adopt from this country we love so much. After having two biological children, we decided to take a leap of faith and start the adoption process, and there was no doubt in our minds that we wanted to adopt from Haiti. As we began to do our research, we learned that adopting from Haiti is a very difficult and expensive process. We know this will be a long and challenging journey, which seems appropriate since Haiti is known as “the land of mountains.” But we have seen God move mountains, and we believe we’ll see Him do it again. We’re excited to see how His perfect plan unfolds throughout this adoption. Ephesians 1 tells us that before God created the world, He chose us to be holy and blameless in His sight. In love, He predestined us to be adopted as His children through Jesus Christ. We can’t wait to show this kind of love when God brings our child home to join our family. Yon jou la jou. Pray. We pray daily for our child and the care he/she is receiving until we can bring him/her home. Please join us in praying for our child and that God provides financially and logistically for a smooth adoption process. 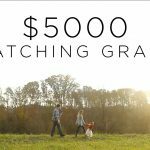 Our church, Mercy Hill Church has been incredibly generous and awarded us a $500 matching grant, administered by Lifesong for Orphans. That means every donation up to $500 will be automatically doubled! Share. Please share our story with others. Yes, we greatly need the financial support, but beyond that, it’s our hope to help create an orphan-care movement and bring awareness to the millions of orphans around the world. Sharing helps more than you might realize. Thank you so much for taking the time to hear our story and for joining us in our calling to adopt! 1) Give online by clicking the red DONATE NOW button in the top right. *An online processing fee (2.2% +.30 USD per transaction) will be deducted from your donation. 2) Send a check payable to “Lifesong for Orphans”. In the memo line please write “Keeney 8234”, to ensure it is credited to our account. Please mail to Lifesong for Orphans, PO Box 40, Gridley, IL 61744. *100% of your donation will be given to our fund. STRIPE charges an online processing fee (2.2% +.30 USD per transaction). Your donations will be decreased by this amount. You may also send a check payable to “Lifesong for Orphans”. In the memo line please write “Keeney 8234”, to ensure it is credited to our account. Please mail to Lifesong for Orphans, PO Box 40, Gridley, IL 61744. God is moving mountains! 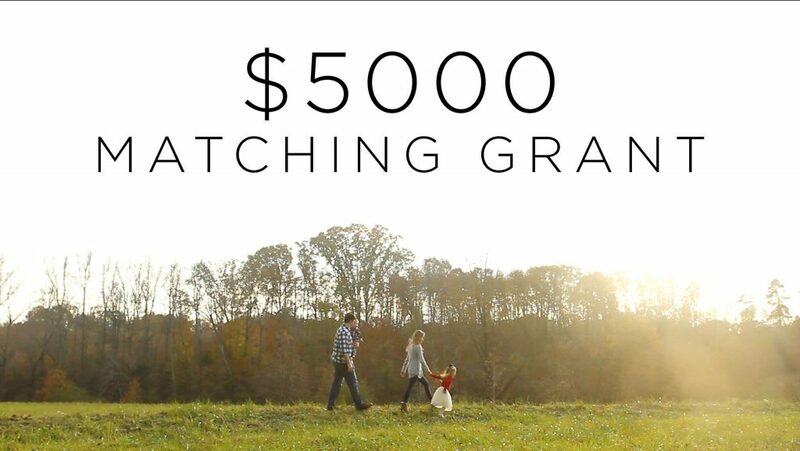 We just found out that we have received a matching grant of $5000 from an anonymous donor! This means that, starting today, every donation to our adoption page will be matched, up to $5000. We are overwhelmingly thankful for this support and the people that have chosen to walk beside us in this adoption journey!